Hiddenogames Happy Easter Hidden Numbers info about the game-Games2Rule. 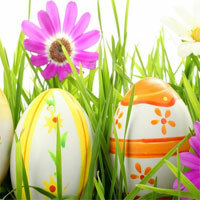 Happy Easter-Hidden Numbers is another type of number based new hidden number game developed by hiddnogames.com. Check your number finding skill. In this game you have to find all those hidden numbers which are hidden in this Easter pictures before times run out. You will get 100 point for every right click but each 10 wrong click will reduce your -100 points from your score. Good luck Have fun!